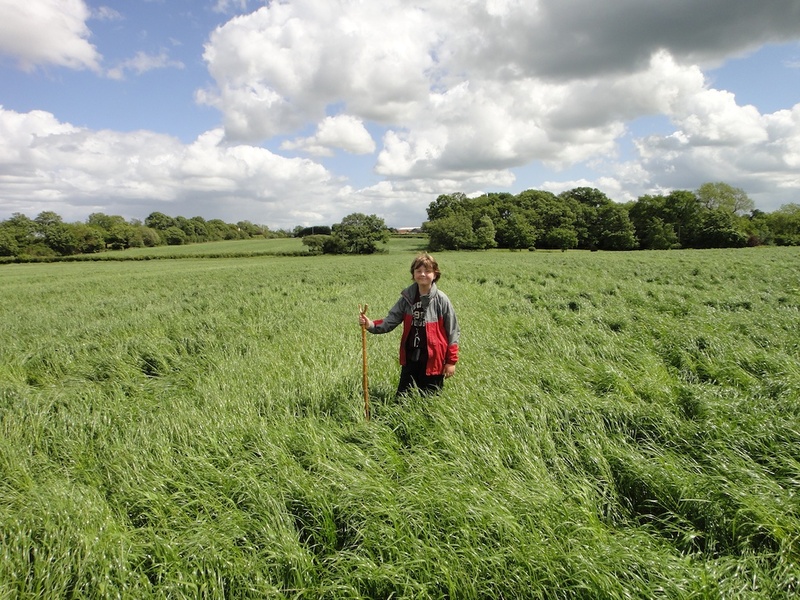 Walking along a Public Footpath on the way between caches - the grass is long! On Sunday Isaac and myself headed for the area to the SW of Birmingham around Catshill and Bromsgrove. This is an area that has a never-ending supply of new caches to find! We started off with the final Bailey Rangers series which was close to the M5 junction. A nice set of caches in a different environment to their other series, which were more woodlandy (is that a word?). On the way round we bumped into Shortmat. Great to see you both again. 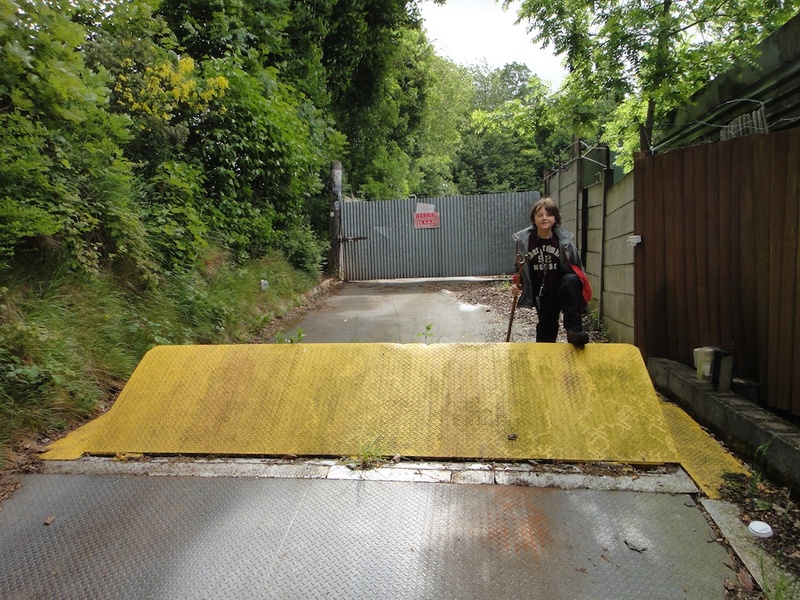 Barriers like this are not going to stop us getting to the cache! After we’d finished here we headed off for a few urban caches in Catshill. A bit of a mixed bag here as the first one had a broken container and was very soggy. The next one was in a passage between two streets with houses overlooking on both sides and the cache was nowhere to be seen. We soon gave up as it’s not our kind of caching really. Next, we headed off southwards to do the last Burcot Eight cache, which was muggled when we did the rest of the series but which has now been replaced in a new location. We carried on to do a few caches to the NW of Redditch before hitting the main walk of the day – the Unlucky For Some Series. This is a series of 13 caches put out by the Webbies to celebrate their son’s 13th birthday. A great walk and some fun caches, especially one about half way round that was a very sneaky hide. 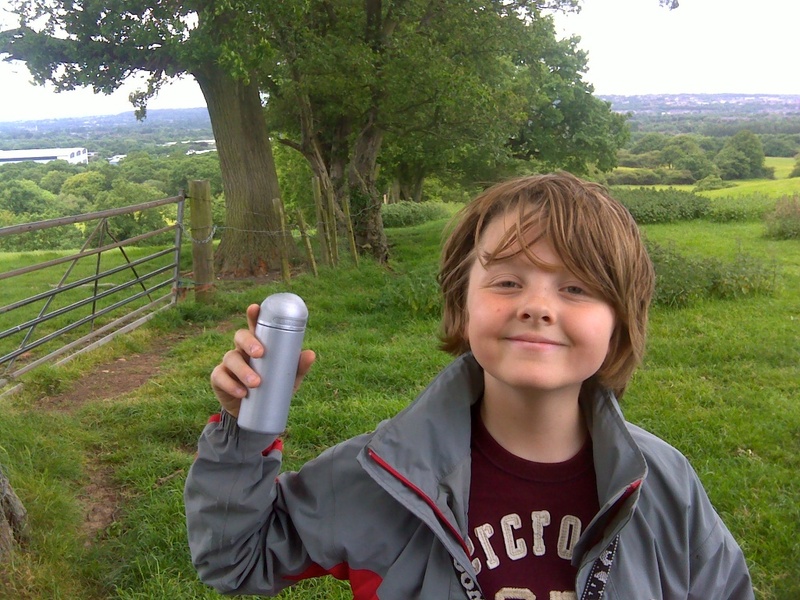 Once we’d finished we did a few more caches near Earlswood before getting back on the M42 and heading home. A great day out with 40 finds and some fun caches.